Lenovo has surprised us again with yet another Windows 10 smartphone. It was in cooperation between Lenovo Japan which is Microsoft Japan and SoftBank. This smartphone has some kind of good specs though. According to source, this smartphone will be officially be sold in Japanese market for now. Though the price is not yet known. 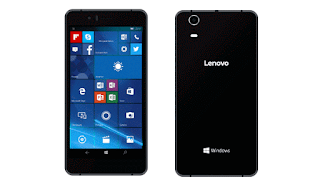 Lets welcome Lenovo SoftBank 503LV. I won't say much about this smartphone. Kindly take a look at the full Specifications and features below.